Only available for Autodesk® Maya®, Autodesk® 3ds Max® and Cinema 4D files. 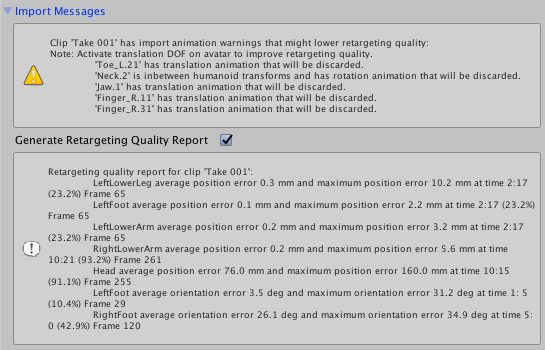 This is what defines a set of animation as separated in Motionbuilder, Autodesk® Maya® and other 3D packages. Unity can import these takes as individual clips. You can create them from the whole file or from a subset of frames. Start El cuadro inicio del clip. End El Cuadro final de un clip. Offset El desplazamiento (Offset) de la rotación raíz (en grados). Offset El Desplazamiento a la posición raíz vertical. Offset Desplazamiento a la root position (posición raíz) horizontal. 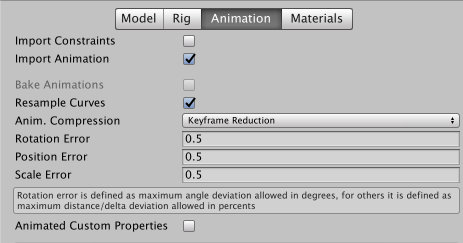 Default bone length found in this file is different from the one found in the source avatar. 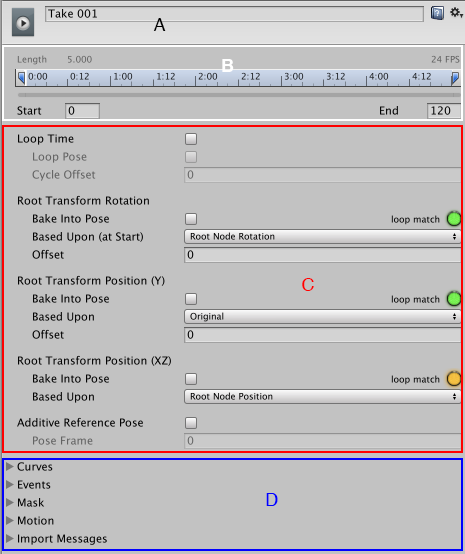 Inbetween bone default rotation found in this file is different from the one found in the source avatar. Source avatar hierarchy doesn’t match one found in this model. This animation has Has translation animation that will be discarded. 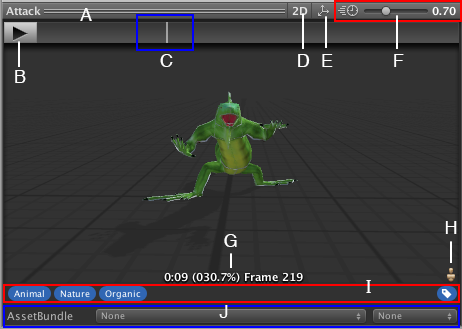 Humanoid animation has inbetween transforms and rotation that will be discarded. Has scale animation that will be discarded.